Hear & Listen is a private audiology practice based in Centurion in the @Heath Medical Center. We form part of a multidisciplinary team in the identification, evaluation, treatment and management of hearing loss in children and adults. We provide a comprehensive test battery to ensure an accurate diagnosis and intervention plan has been made. 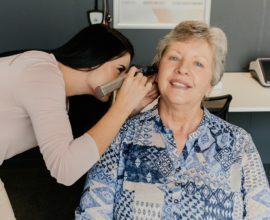 At Hear & Listen we strive to provide quality audiological services in an environment where you can feel at home, relaxed and where you are treated with love and care. We supply an extensive range of hearing aids from the most trusted companies globally. We provide mobile hearing services to retirement homes where we visit the patient in the comfort of their home/ room. 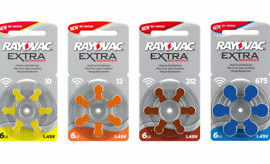 Our hearing aid batteries are sold at cost price to all pensioners at only R30.00 a pack. Services provided to patients at a retirement village include FREE hearing screening, hearing aid trials of all brands, FREE cleaning of hearing aids and a basic service, adjustments to all hearing aid brands and lots more. Our goal is to provide the best possible on-going support to experience success with better hearing. 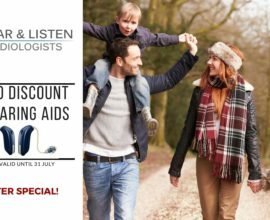 We are a professional and compassionate team of expert audiologists who has a passion to help you hear better and improve your quality of life.